Medicaid is a government run health insurance program that is jointly administered on the federal and state levels to provide health care for people with very limited financial resources. Our elder law offices are located in Sacramento, California, and in the Golden State, this program is called Medi-Cal. You may wonder why you should be concerned about Medi-Cal if you are going to qualify for Medicare coverage when you are a senior citizen, and this is understandable. Most people that are attaining senior citizen status will eventually need help with their activities of daily living. Of course, some individuals will be able to get the assistance that they need from family members and friends as they remain in their own homes. However, others will reside in assisted living communities, and people that have more significant medical conditions will require the type of care that can only be received in a nursing home. The Medicare program will pay for convalescent care when the patient is ultimately going to recover, but it will not pay for custodial care. This is the term for the type of assistance you would receive in an assisted living community or a nursing home. Medi-Cal will pay for these expenses, and this is why the program is very important for people that are looking ahead toward the future. Many seniors are very active when they first enter into their retirement years, and this can lead to the belief that a small percentage of elders will actually need living assistance. In fact, this is really not the case at all. The segment of the population that is comprised of people that are between 85 and 94 is growing faster than any other, and when you are in this age group, things are a lot different than they were when you were in your mid-60s. Alzheimer’s disease is something that everyone has heard of, but folks are often surprised when they hear that the disease strikes four out of every 10 people that are 85 years of age and older. It is also a threat to younger senior citizens. About 13 percent of people that are at least 65 years of age have contracted Alzheimer’s disease. Many people with Alzheimer’s induced dementia will require nursing home care, and of course, there are individuals in nursing homes with other medical conditions. Getting out a checkbook to pay for nursing home care of pocket is not a very appealing prospect when you understand the state of the costs. 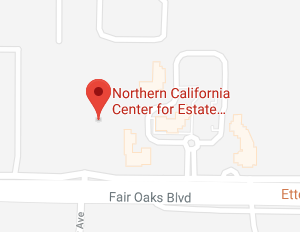 Here in the Sacramento area, the median charge for a private room in a nursing home in 2018 is over $10,150 a month, and this equates to about $122,000 per year. These figures come from a Genworth Financial survey, and they have been keeping a finger on the pulse of these expenses for a number of years. According to their projections, nursing home costs will go up by about five percent in our area over the next five years. If the rate of increase stays constant, or if it rises, you could be looking at a much larger figure if you need nursing home care 20 or 30 years from now. While it is true that Medi-Cal is only available to people with sparse resources, there are some assets that do not count. Your home and your motor vehicle are not countable assets, and the healthy spouse can maintain ownership of half of the shared assets that are countable (up to a certain limit) when a married person is applying for Medi-Cal coverage. In order to qualify for Medi-Cal to pay for long-term care, you could get assets out of your own name in some way. Many people will convey resources into irrevocable Medi-Cal trusts, and you can alternately give gifts to loved ones. However, advance planning is key, because there currently is a 30 month look back period in California. In many cases, you have to complete all divestitures at least 30 months before you apply for Medi-Cal. If you violate this rule, your eligibility is delayed, so you would have to pay for the care yourself while you wait out this penalty period. If you take the right steps, you can brace yourself for potential future nursing home costs as you preserve your legacy for the benefit of the people that you love. We are here to help you do just that, and you can call us right now at 916-437-5000 to schedule a nursing home asset protection consultation or contact us online.